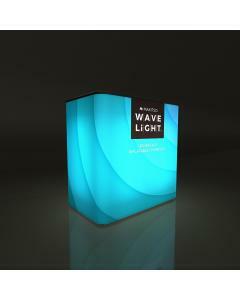 Our New Fabric Pop Ups - Awesome Displays and Amazing Value at £349! 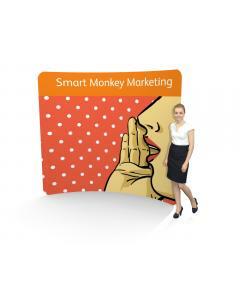 Introducing the new Speedy Fabric Pop Up Displays - starting at £349! It's been a long time in production, but finally it has arrived - enter the Speedy Fabric Pop Up! 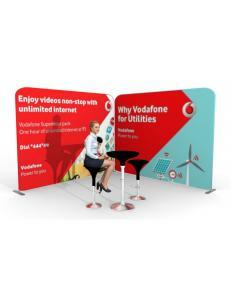 This ingenious creation has all the simplicity and ease of a traditional Pop Up Display, but with the latest technology of a stretch fabric exhibition stand. 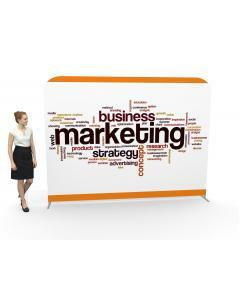 The benefits of a fabric graphic are impressive. 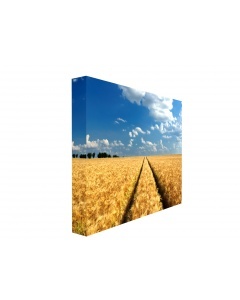 Your artwork is printed directly onto high quality exhibition polyester fabric using the latest dye-sublimation printing technology. 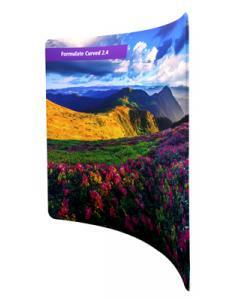 The print is applied deep into the weave of the fabric ensuring a long lasting and vibrant display. 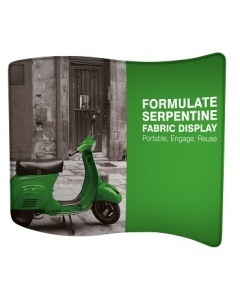 These fabric graphics are so durable that they can be folded for easy transportation and then stretch back onto the frame to create a taught, seamless and crease free display. 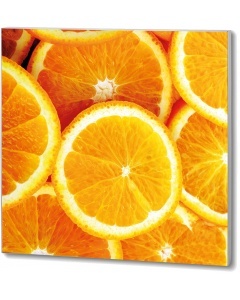 They can even be washed at low temperatures! 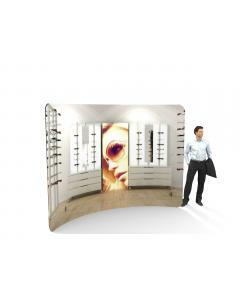 To build your Speedy Fabric Pop Up Display you simply expand the pop up frame, which locks into place. 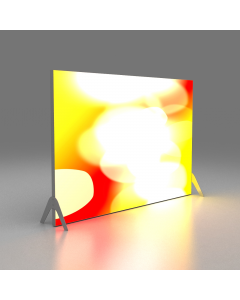 The fabric graphic is then attached to the frame using Velcro along the sides. 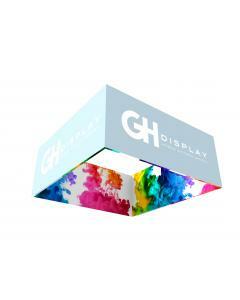 The 300mm deep frame gives a box shape to your fabric display and also ensures a sturdy and solid exhibition stand. 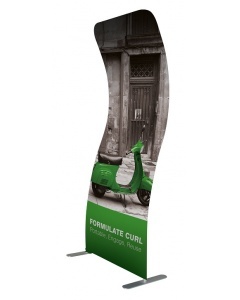 The Speedy Fabric Pop Up is available in three sizes all measuring over 2.2 metres tall. 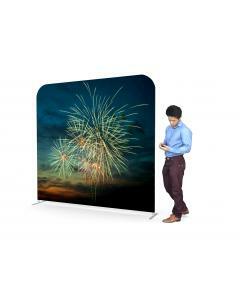 The 3 x 3 Speedy costs just £349 and measures 3 metres wide (2260mm visible width) by 2.2 metres tall. 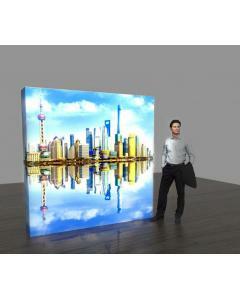 The 3 x 4 Speedy costs £419 and measures 3.7 metres wide (3000mm visible width) by 2.2 metres tall. 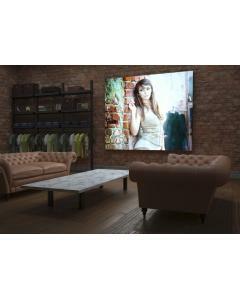 The 3 x 5 Speedy costs £565 and measures 4.4 metres wide (3740mm visible width) by 2.2 metres tall. 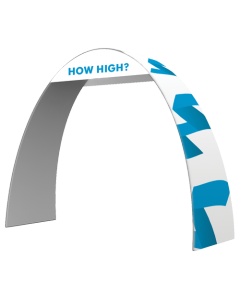 We don't believe there are any other comparable Fabric Pop Up Displays on the market that come anywhere close to this price - but please, if we are mistaken, we'd love to know. 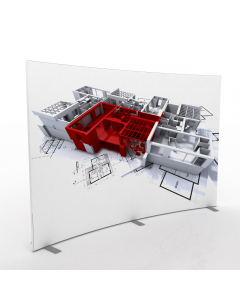 We are working hard to make our products the most competitive on the marketplace without comprising on our high standards and quality. The new Speedy range is testament to these efforts. 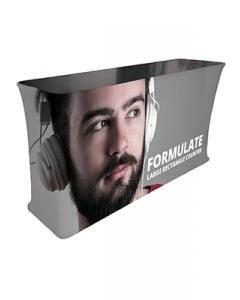 Order online today and experience for yourself a truly affordable and striking Fabric Pop Up Display.